John Young at Beggars Bush. History is full of surprises. A few months ago, another prisoner list from the Custom House appeared online with a cache of documents relating to the War of Independence from the British side. On the new prisoner list were names of men that we had not associated before with the burning of the Custom House, one of which was John Young. John Joseph Young was born at 9 Warrenmount Place, Dublin on 29 March 1902 to John & Jane Young. He was the second of four children. Both his parents were originally from Co Derry, John Snr being a DMP constable, later a sergeant. The family moved to Drumcondra before 1911. Jack took up work in the Dublin shipyards as a riveter after leaving school. 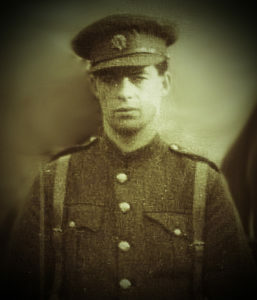 In 1918 he joined the IRA as a member of B Coy 2nd Battalion who operated around the Ballybough area of the North inner city. Little is known about the operations he took part in between 1918 -21 but we do know he was arrested at the Custom House and interned. 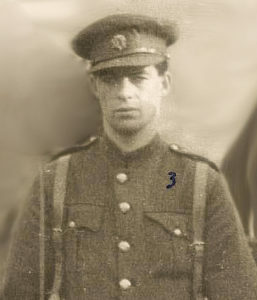 Following in the steps of Tom Ennis and the majority of the 2nd Battalion, Jack joined the new Free State Army on its formation (army number 1132) & took part in the first barracks takeover from the British at Beggars Bush on 2 February 1922. Sometime after that, Jack seems to have transferred into the CID at Oriel House. Jack rejoined the regular army in July 1922 at the rank of Captain with the new number of SDR 4015 . He was attached to the Munitions Dept and served with a Captain Stafford.Within a couple of weeks of rejoining the army he was sent to Kerry to fight in the Civil War which had been raging across the country since June. On 3 October Jack was ambushed at the Bower, Killarney & received a bullet through his lung. He died 10 days later, 13 October 1922. He was only 20 years old. His father John was given a grant of fifty pounds. Jack was buried in the Free State plot in Glasnevin Cemetery. In 1941 his sister Annie was awarded his service medal for his actions in the War of Independence; it was numbered 817 as it was awarded after Jack’s death. In his short life Jack Young had taken part the burning of the Custom House and the takeover of the first barracks from the British and had risen to the rank of Captain in the new Irish National Army. A lot for a young lad of twenty. 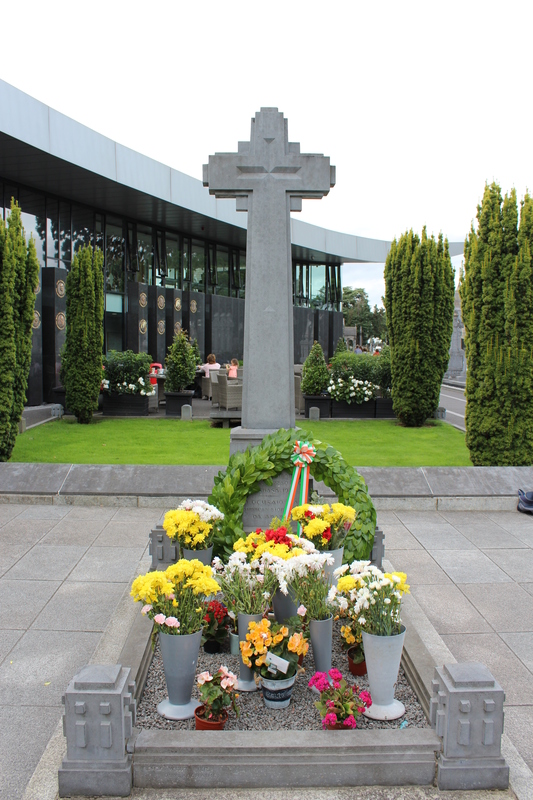 Michael Collins’ grave with Free State plot headstones in the background. Jack Young’s name is to the right of Collins’ headstone. Special Thanks to Diarmuid O’Connor and the staff of Ryan’s Beggars Bush for their help and patience while I photographed the group pic on the wall in order to get the best quality picture we could of John Young. If anyone has any other pictures of John please leave a comment or contact us via email. Update: We managed to find a better copy of the photo of Jack and here it is in two versions (from The Brophy Family Collection, South Co Dublin Co Co).